Happy Wednesday! 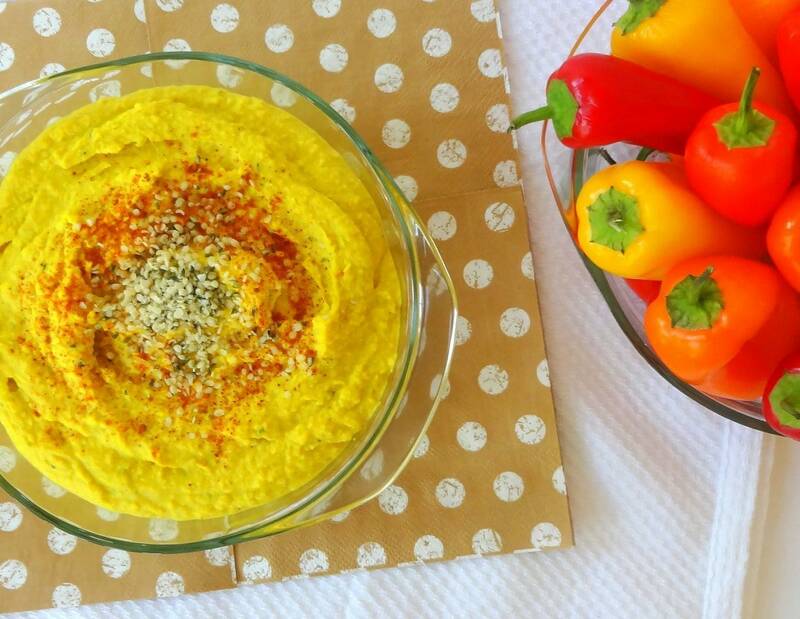 You are probably wondering, what the heck is yellow hummus? How is it so… yellow? This is one of those “happy accident” recipes! Well, not really an accident since I was clearly aware that I was adding a special ingredient to make it bright yellow. But I wasn’t sure how it would turn out. Hummus is basically a staple in my diet, and for all vegans really. We eat it everyday. Why? Because it tastes amazing with anything! 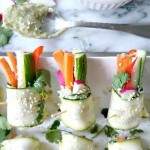 I have it as a snack with carrots, cucumbers and pita chips, (my new thing is to dip the tiny baby bell peppers in it) I spread it on a tempeh wrap, I add it over a salad or a rice dish. You can even make some types of dessert with hummus, which I have yet to try. A couple days ago, we ran out of our beloved hummus, so yesterday, I find myself driving to Trader Joe’s to pick up my favorite Mediterranean kind that I can’t live without! I am searching up and down the shelves, no hummus. I go to another section, maybe they moved it? Nope, no hummus. I track down an employee. 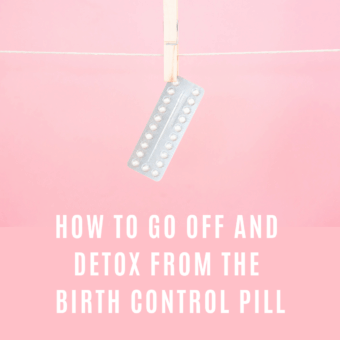 She says they are out of it and will be for a while… what?!! This is no bueno. I could have gone to Whole Foods to pick some up, but then I start thinking.. should I make it myself? I haven’t done that in a while. My mind starts racing, maybe I can make it for the blog? But I don’t want to post the same old classic hummus recipe. How can I put my own spin on it? Hmm.. so I am back in the kitchen with my food processor and chickpeas. I start adding the garlic, lemon juice, and sea salt. Then a unique thought pops in my head. Turmeric. At first, I shake my head at the thought. But then I start wondering, how would that taste? I have no clue, but I do love turmeric. Heck, I’ll try it. I throw in a teaspoon of it. 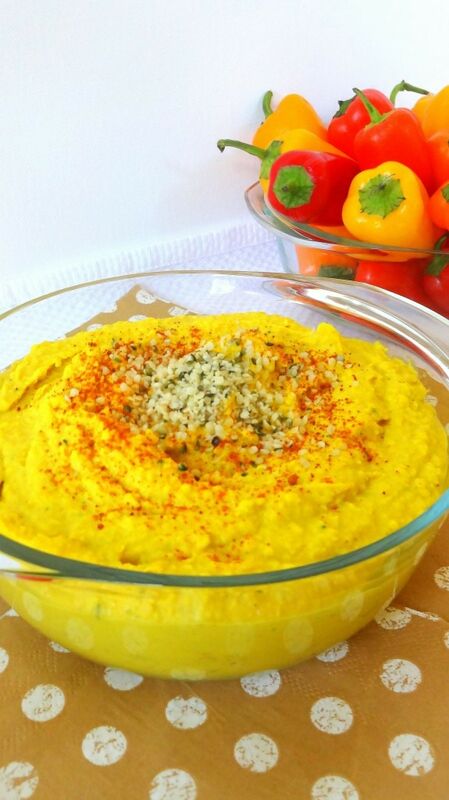 This amazing bright yellow color starts swirling around in the food processor. Like sunshine. Similar to a mustard color, but more vibrant. I didn’t want the turmeric to be over-powering though, maybe some people would get too scared off to try it. That one teaspoon was just enough to add a light flavor that you will love! I added some hemp hearts for an extra protein boost too. 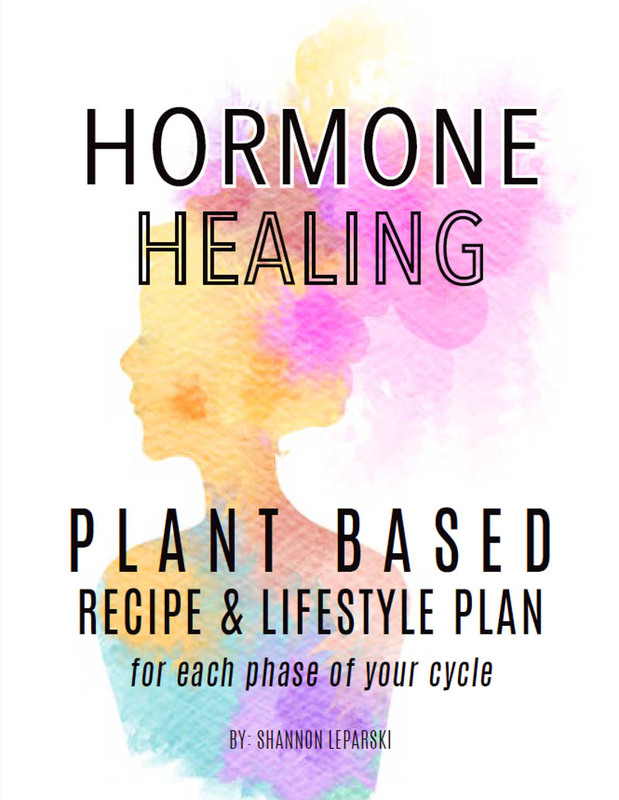 If you don’t know what turmeric is, it comes from a plant in the ginger family and serves multiple purposes. This spice has been known to treat skin and stomach ailments, and is a staple in curry dishes along with condiments such as mustard. I add it to salad dressings and now, to hummus! For breakfast, I was out of lemons, so no lemon water, just a large glass of plain water. And a cup of coffee with almond coconut milk and stevia. Then I made a pinkalicious smoothie with frozen strawberry, frozen pitaya, mango and almond milk. I posted it on instagram but then I wanted to eat one of my Rawxies with it! Rawxies was kind enough to send me some product to try out and I just adored their little treats. They are heart-shaped little cookies/brownies that are raw, vegan, gluten-free and soy-free. 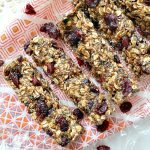 They are also dehydrated instead of baked to remain “raw” and to preserve the naturally-occurring enzymes. 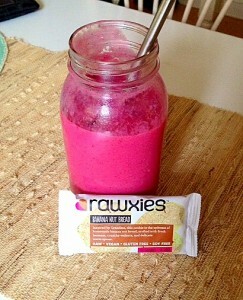 Rawxies only uses natural ingredients, no harsh chemicals. 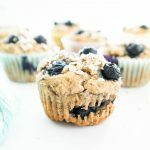 You can have them as a little snack, or alongside your breakfast like I did, even as dessert! They are that good. They sent me Mint Chocolate Chip, Lemon Poppyseed, Mocha Almond and Banana Nut Bread. My favorite was Lemon Poppyseed but they are all yummy, Check out their adorable website here! 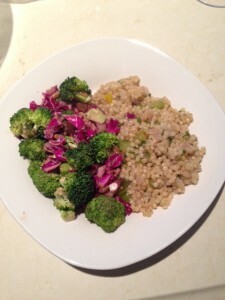 For lunch I ate some Crunchy Broccoli Raisin Salad from Monday’s post alongside some CousCous with red onion, green pepper, and parsley. I know it was not the best lighting for this picture! Dinner was the best! 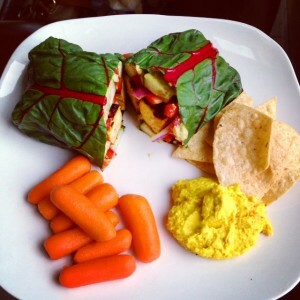 I have been loving collard wraps lately instead or tortilla wraps. They hold together really well and are far more nutritious. 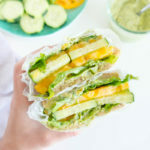 This wrap was filled with tempeh, cucumber, red pepper, red onion and a homemade avocado spread made of avocado with fresh lime juice. 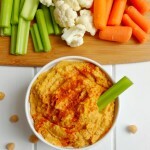 Then some carrots, tortilla chips and my new fave Yellow Hemp Hummus! And now for the hummus. 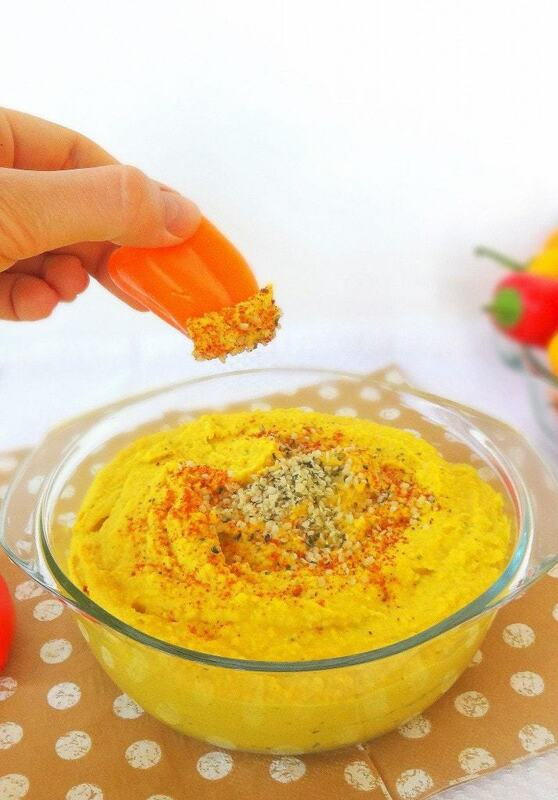 In a food processor, combine chickpeas, tahini, lemon juice, hemp hearts, garlic, sea salt and turmeric. Process until well combined. 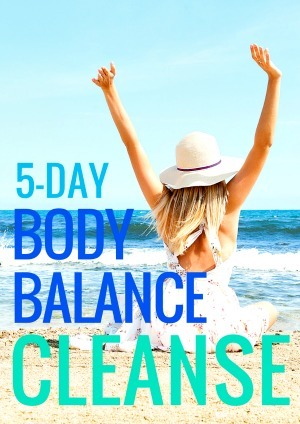 Add a few tablespoons water as needed, until it reaches desired consistency. Keep processing a few minutes until super smooth! Scrape down sides if needed. Transfer to a serving bowl and sprinkle with your favorite toppings. I added paprika and hemp hearts. Olive oil or red pepper flakes would be good as well. Wow, thank you so much for posting this! It is gonna aid me when I order Hemp Oil at the store! Impressive! 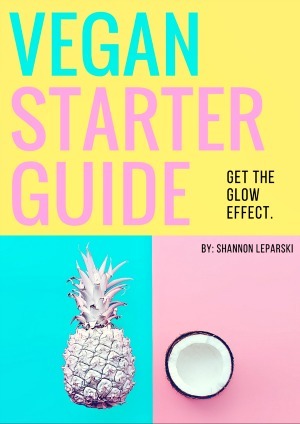 Hi Shannon, I use hemp all of the time but never like this! 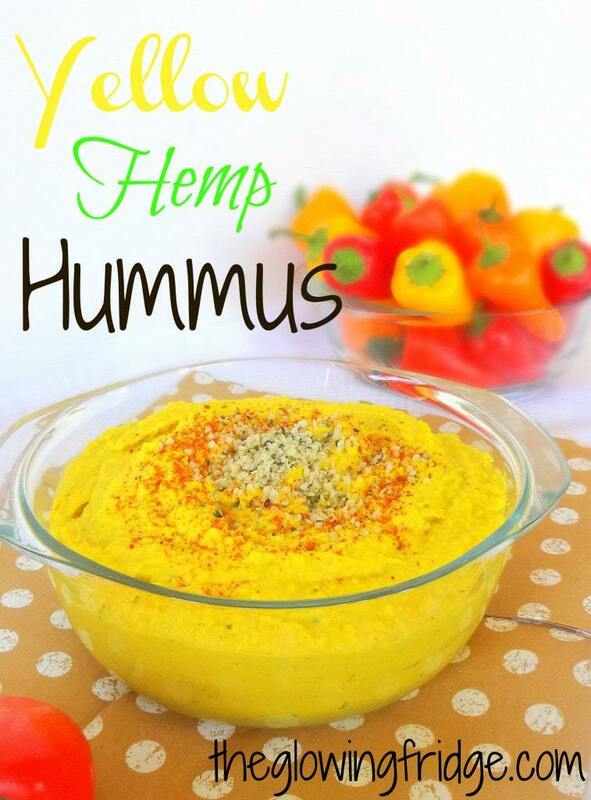 What a delight it is to explore your recipe for yellow hemp hummus. I can’t wait to try this recipe! 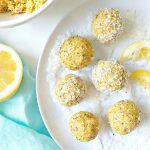 Thank you so much for sharing this healthy and delicious recipe on the Healthy, Happy, Green & Natural Blog Hop! I appreciate it! I must say, I do love recipes where I already have all the ingredients! Also what did you use to embed the recipe in your post like that? It’s really nifty!